I was happy & felt special when Team BlogAdda shortlisted me for the Quikr activity. 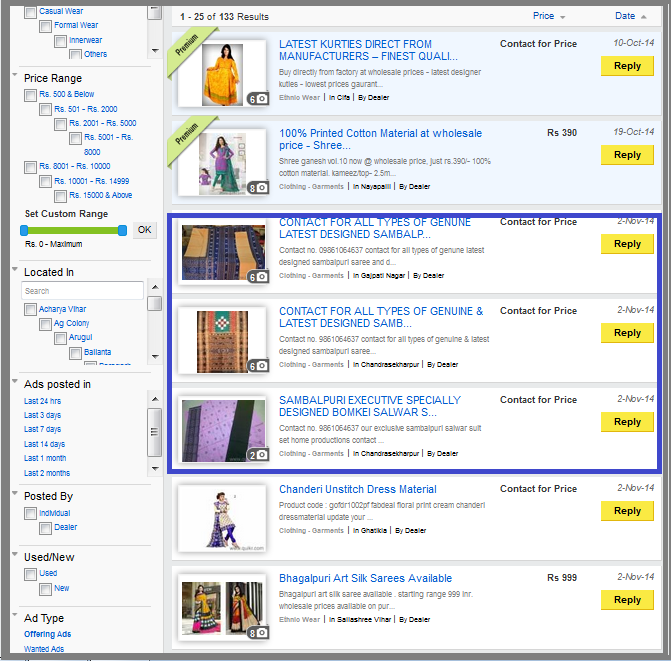 I had to shop for Rs 5000 using Quikr and then blog about my experience. But, then, I was also very concerned. This was because of my not-so-good experience with two leading online-shopping sites in the recent past. Shopping with one, I have paid higher price for the products & in the other, I am yet to receive the product I have ordered 5 weeks ago. Thus, for this online-shopping activity with Quikr, where the time-frame to submit the post was less than a week, I expressed my inability based on the fact that the product may not even reach me! How will I blog about my experience then? Team BlogAdda advised that I should pick product(s) from Seller(s) based in my city or near my city so that the process is expedited & is QUICKER! I logged on to Quikr. Home & Lifestyle was my first category pick. From the list, I selected Home Decor - Furnishings as I thought of purchasing bedsheets. Earlier, I was of the opinion that only “used” & “old” items are available in Quikr. We can refine our search-results and choose options so that we get to choose exactly what we want- Condition of the item whether Used/New, Price range, Ad posted by Individual/Dealer etc. My choice was- NEW product to be bought from DEALER. From a Home Decor - Furnishings ad, I tried contacting a Seller. However, the phone went unanswered. Next, I selected Ethic Wear from Clothing- Garments as I like to BE INDIAN, WEAR INDIAN. 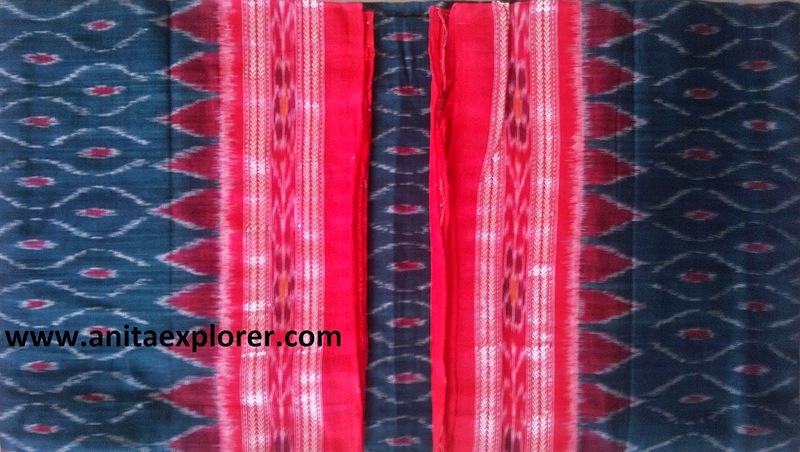 On Page-1 of the Ethnic Wear listing, I found a number of Sambalpuri products. Sambalpur is on the list of the 5 PLACES I WISH TO VISIT just so that I can pick the spectacular Sambalpuri products! For now, I tried accessing online through Quikr, while seated in my home in a different city! I browsed to choose the product. In Quikr, we can choose the category of what we are looking for, & from the list of online ads that appear in the search-results, we can contact & visit the seller directly and get to pick & choose exactly what we want. Combination of the online & offline experience is great for people like me, who like to select online, but love to get a touch and feel of the product before buying. As we get to personally check before buying, we can avoid ‘returns’ or having to exchange due to issues of size, color or defects. I found that most of the ads belonged to one Seller and had a common contact number viz. in the pics below excluding the selected ads. I found a Seller with products listed in the ads on the Quikr site with- 'Contact for Price'. Based on the info given in the ad, I contacted the Seller. When I asked him about the availability of the particular Salwar-Suit Set that I had selected from their ad, he said that they have many designs. I have to visit and select. He invited me over to his place to take a look at the available Sambalpuri products. I realized that Quikr is not like the normal shopping-sites. Here, the Buyer and Seller can have direct telephonic & face-to-face interaction and transaction! Bid bye to all those nameless & faceless online-shopping experiences so far! Seller gave instructions about how to reach his place. He assumed that I knew about “Press Chhako”, but I had never visited that part of Bhubaneswar before! Quikr may make us discover our city in the process! To visit the Dealer’s place, I got to visit a part of the city I had never been to! When I reached the "Press Chhako", the Seller was waiting for me on the road. We went to his place. I was surprised to find the large variety of products there! Greater choice as compared to the limited online ads they had posted on Quikr. I found he has many more latest designs/colors in stock. Seller said those ads are a bit old & some items are not in stock with him as newer ones have replaced those. However, they can supply the ones given in the ads once we place an order & they get it ordered. When we visit the Dealer directly, we find a wide range & more deals. Many more products- more colors, designs & various items- are available for choice at their place than have been advertised by them online. He and his wife showed the extra items they had like Handkerchiefs and Bedsheets. We have to purchase the cloth and then get them stitched though, after cutting them into two halves. 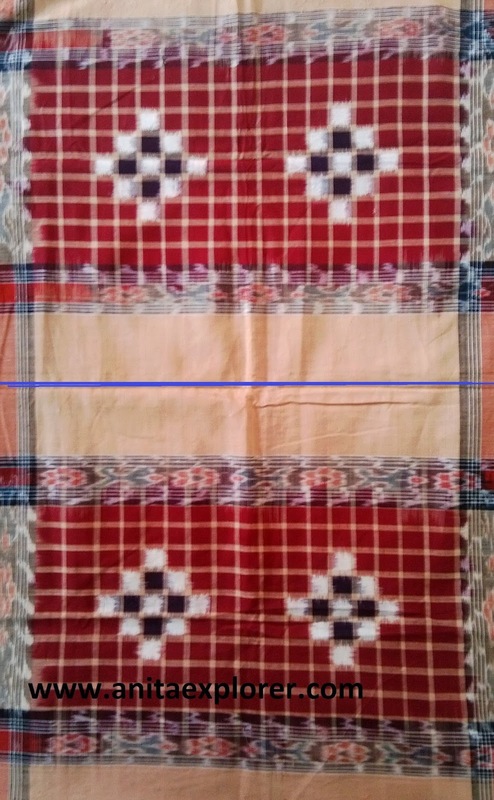 Though the Seller had posted ads only of Sarees & Dress-materials, yet he had all the above items also. 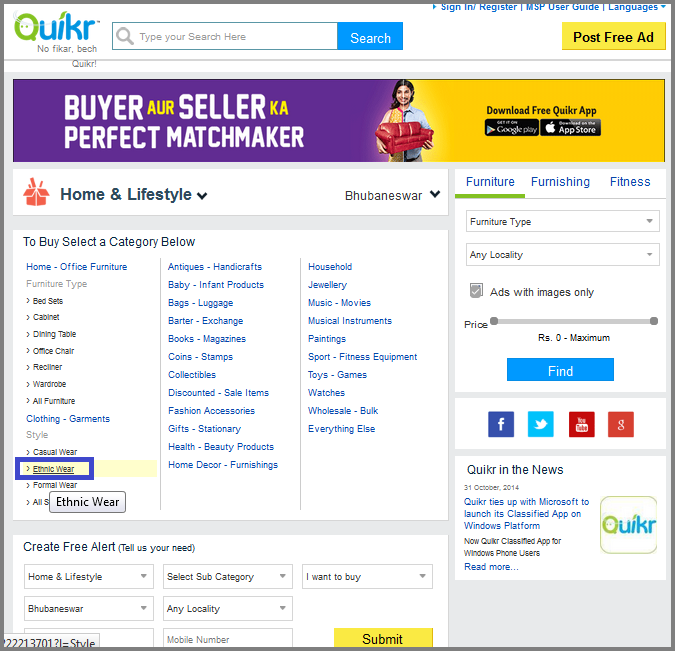 I had an option to purchase items whose ads are not in Quikr, but which I got to access thanks to Quikr! 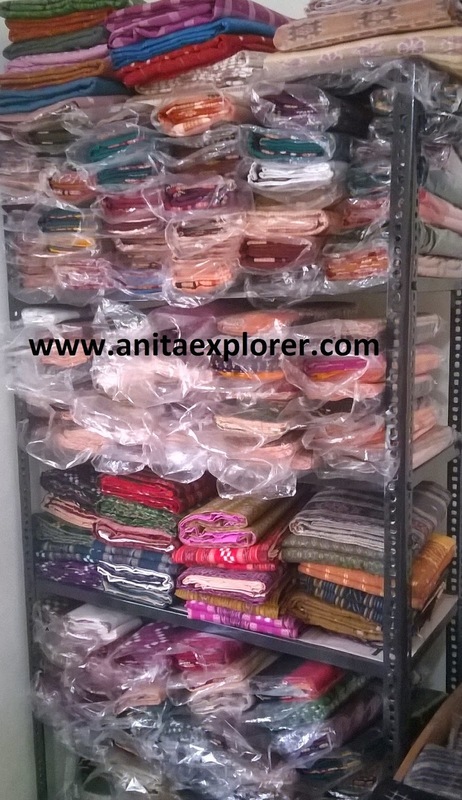 I was amazed with the range of these pretty Silk Sarees. 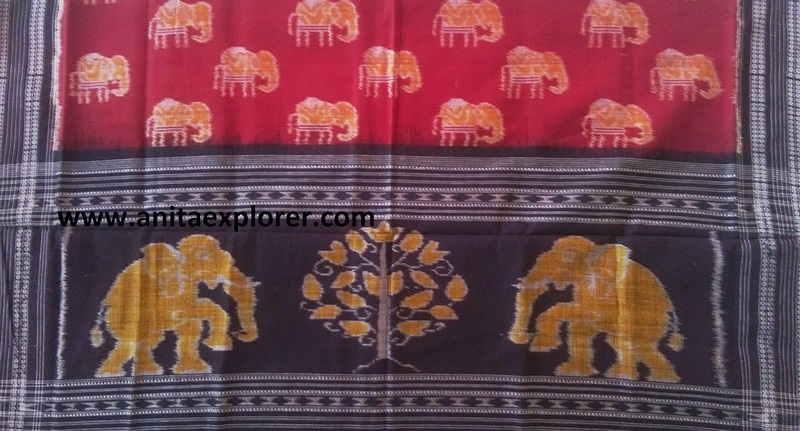 There were traditional cotton handloom Sarees. 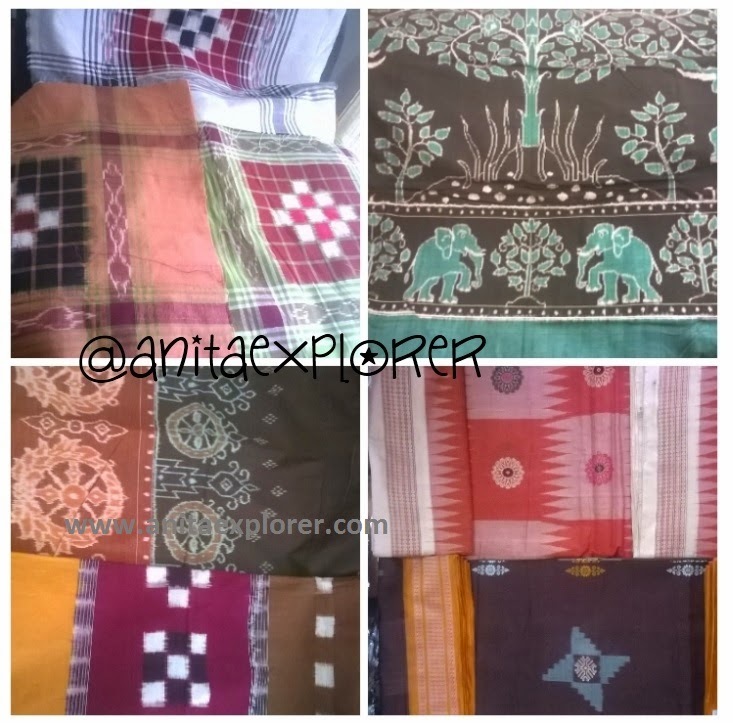 Seller informed me that all these are made in traditional looms by hand by his own family and village community, 85 kms from Sambalpur. He said their firm is a "Wholesaler" & not "Retailer" & that they sell/provide in bulk for orders greater than 100 items. Normally, interested retail-buyers visit their place & select from the "samples" & place orders for >100 pieces. I have bought some "samples" that he had for the said display. 1. I was keen to purchase & write about my purchase from them. 2. He was keen that I write about them! I was happy to learn of the story of the Seller and his family who are working to supply & popularize Odisha's Sambalpur's handloom products. Thanks to Quikr, we can get to learn of them. 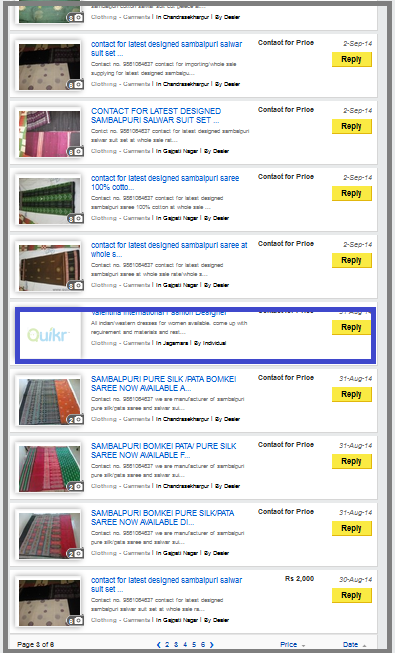 Quikr gives an opportunity for everyone to be a Buyer/Seller. No discrimination on any ground. Introduction is easy and the process is simple. Seller let me buy four “sample” pieces. Deal is finalized on the mutual consent of both the parties. There is a scope to get the best wholesale price. Will be gifting this to my sis-in-law. 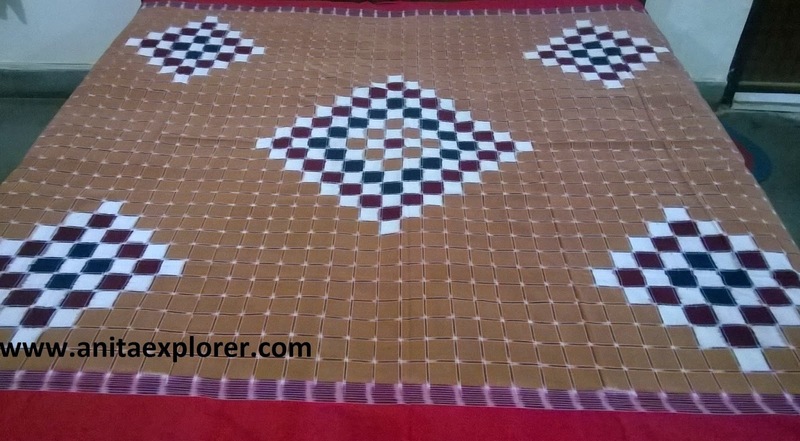 My Pick 3- Sambalpuri Bedsheet - Looks lovely on our bed! I love all my selections, don't you? Quikr has great deals from Individuals too. Recently, one of my friends sold her brand new gadget for half the price. 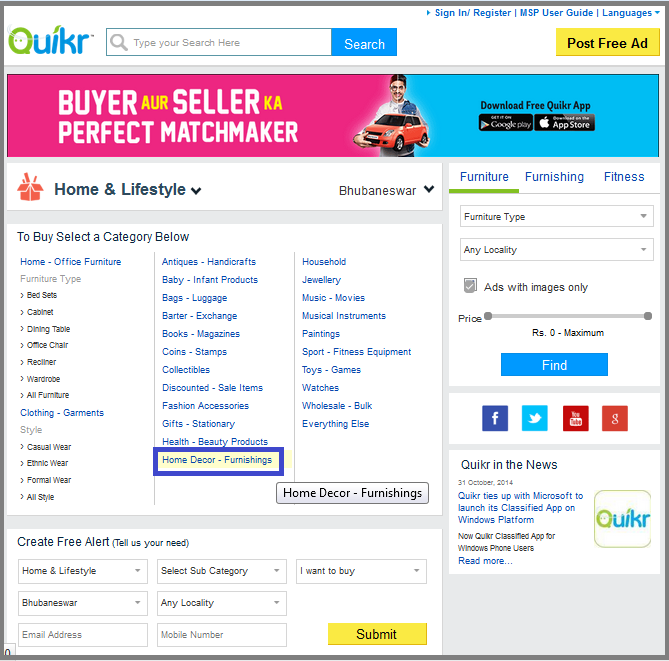 The key to bag great deals is being at the right place (Quikr!) at the right time (when the ad is posted as such good offers aren’t available for long as the early shopper seals the deal!)! 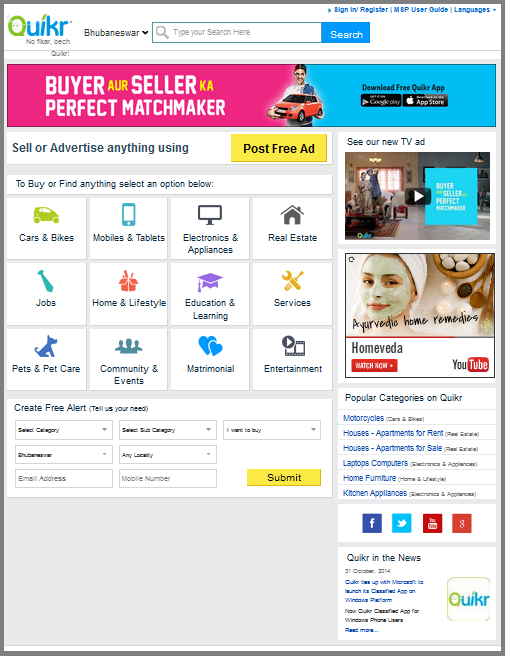 Quikr surprises us by informing us of the Buyers/Sellers near our own home! Log on now-> Quikr.com to find the nearest interested Buyer/Seller! Your next-door neighbor may have something that you need or vice-versa! Thanks Team BlogAdda for the opportunity and for patiently answering all my queries regarding this activity. I bet I had the maximum questions! If you are interested in purchasing Sambalpuri products, you can contact Utkalamrita. Orders are sent by courier too. What a detailed account! I've never done any shopping at Quickr. I also thought it was a site for selling used items. Your post has cleared my misunderstanding. This was my first opportunity as a Buyer at Quikr. I loved the experience. We get to learn about such entrepreneurs & interested Sellers/Buyers so easily. Wow! You have made any patron shopping from this site so confident by your detailed post. Nice article. E-commerce is the future of shopping in India. 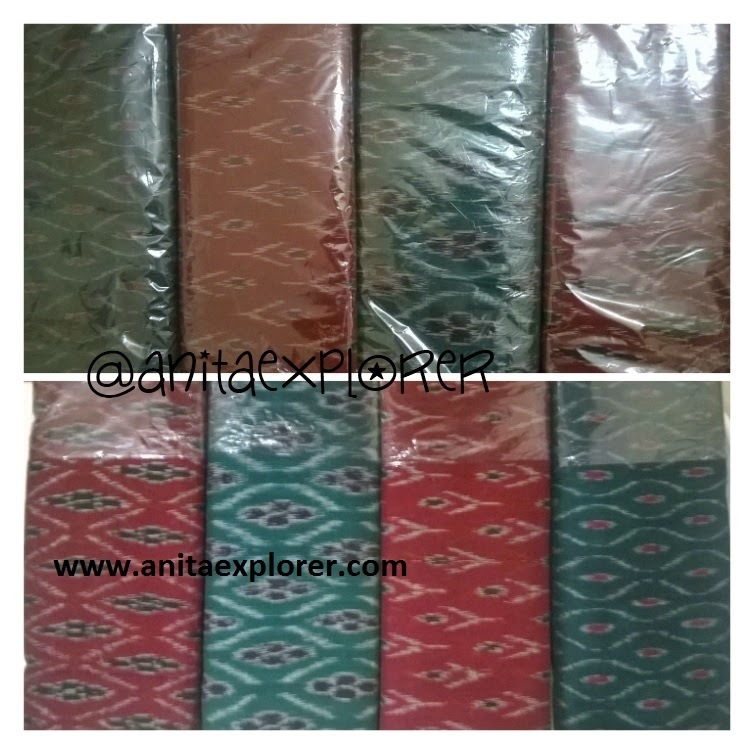 Yes, Sambalpuri products look great with their bright colours & lovely designs. We can buy things from quicker.I dint know about..Thanks you have shared it in brief. I felt we can pick only old/used products; I didn't know that we can buy new products from Quikr. Quite a detailed post Anita. I too thought quickr as a place that sold old products. Thanks for the info. Yes, even I learnt that we can buy new items from Quikr. Oh that was a detailed post. Glad you could find things. I had a hard time :p But anyhow managed to get something before the time ran out. I loved the little dupatt that you picked, I am so glad we got a chance to do this, it sure changed my perception about Quikr. Truly, it was lovely shopping & we dispelled some myths & misconceptions about Quikr. I love what you picked! My fav is the dupatta. 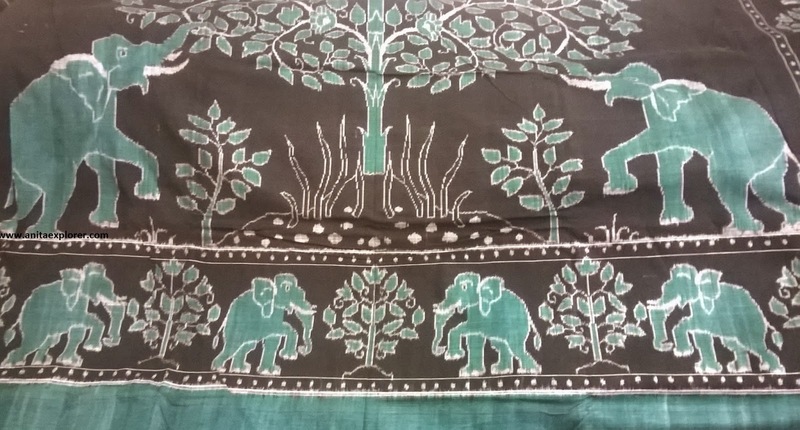 One of my colleagues is Sambalpuri and had seen a shirt from there. Since then even I wanna buy some Sambalpuri stuff.